I like the cool colors of this painting combined with the vibrant yellow leaves of the blueberry bushes. 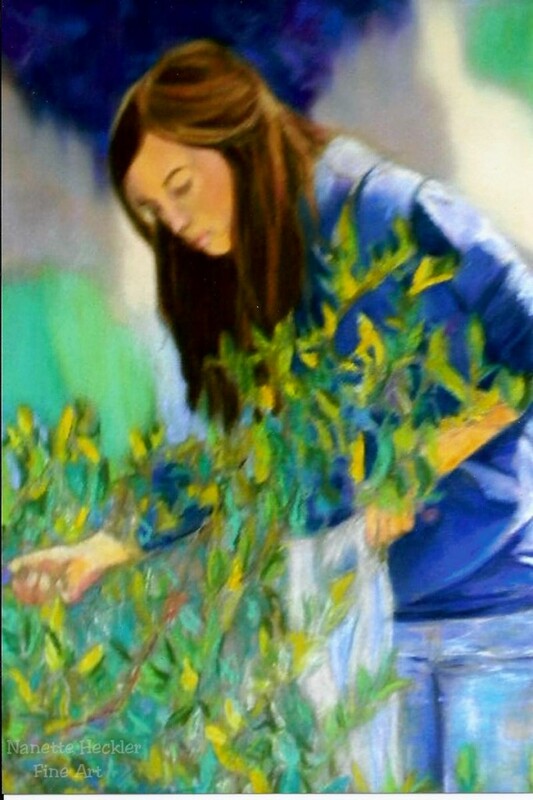 The focal point of this painting, the elegant face of this homeschooling teen, leads the viewer’s eye to her hands that are busy collecting berries. I am fond of the light on her shoulder which ties into the plastic bag of which she puts her collection.